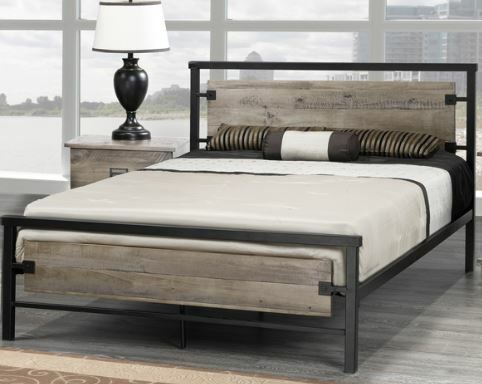 Tradition meets modern with this stylish platform bed. 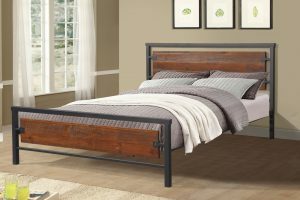 This unique merging of wood and metal includes distressed, grey finish headboard and footboard, and an espresso finished metal frame. Comes complete with mattress support.